Autumn in the Atlantic Salmon Reserve is a magical time with a carpet of scarlet berries, burnished gold, brown, blue and green – a riot of colour upon the tundra. The rivers are full of early run salmon mixed with the sudden flash of deepest silver, the mysterious Osenka, a late run of remarkably big and powerful salmon. Sea trout and arctic char come in on the tide, wood smoke wafts in the air and Nature puts on its own display as the northern lights flicker across the polar darkness. To take full advantage of the wonderful opportunities available during this period and in keeping with our conservation mandate we have decided to create an interval in our fishing programme from August 10th – 24th 2019. This will allow our rivers to rest prior to re-commencement of action on August 25th. 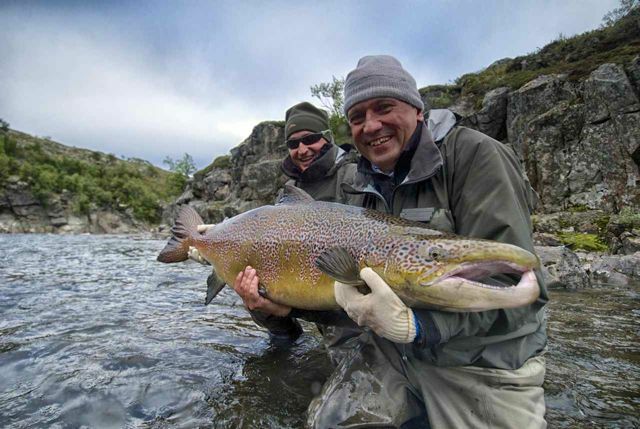 Guests will have the unique experience of fishing over rested fish and newly run Osenka across all of the Atlantic Salmon Reserve Rivers. Our 2019 ASR “Three Rivers Program” will consist of 8 groups of two anglers with one guide for each group. Guests will stay in comfort at Kharlovka lodge throughout their fishing holiday, flying in and out experiencing the full magic of the Kharlovka, Litza and Rynda Rivers. There will be a maximum of three groups or 6 guests a day fishing each of the Three Rivers. Every group will be able to enjoy fishing two separate days on each of the Three Rivers. 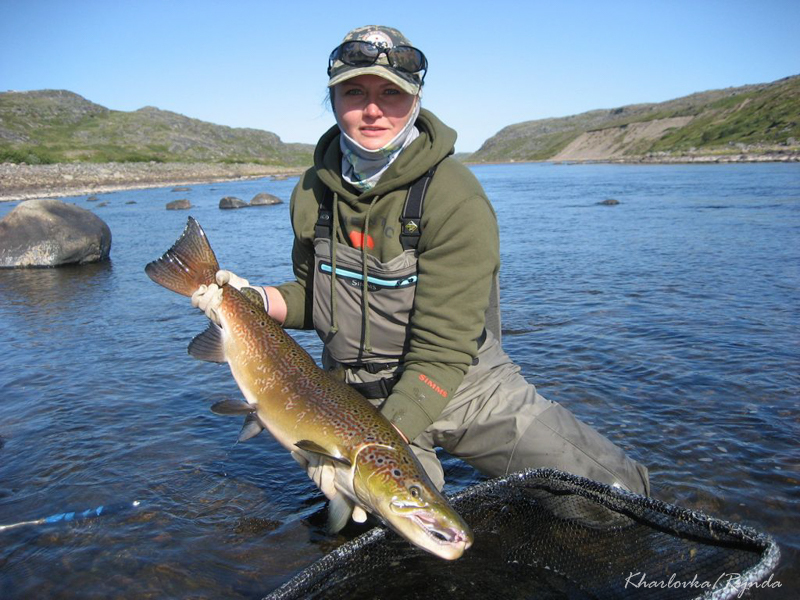 Along with the Sea Trout pushing into the estuaries, there will also be the possibility to fly upriver on Kharlovka in search of the monster salmon which have previously run the falls. 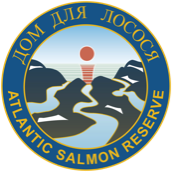 This is a tremendous opportunity for keen anglers to experience the totality of the Atlantic Salmon Reserve at a glorious and precious time of the year and early applications are encouraged as demand is likely to be high. Any information contained in this website is produced in good faith but is only a guideline. The Kharlovka Company Limited cannot be held responsible should the information be subject to change.